Delhi, Agra, Jaipur, Pushkar, Udaipur, Jodhpur, Delhi. 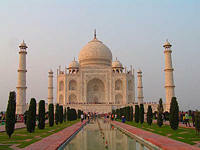 Rise early for morning coffee and prepare for a truly spectacular sight, the legendary Taj Mahal at daybreak. It is often said that Taj Mahal changes its colours by every minute depending upon angle of sunrays and it is best seen either by sunset or sunrise. Sunrise however is best timing for taking pictures of this monument under mild sun light. Return to your hotel for a full breakfast, later drive to Jaipur (260 km / 6 hrs), stopping enroute at Fathepur Sikri, the Red Sandstone City where Emperor Akbar built as his capital and palace in the late 16th century. 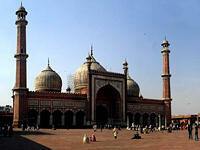 Also visit the Bulund Darwaza, the largest gateway in the world. 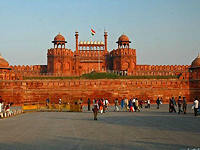 Continue the drive onward to Jaipur, on arrival check in at hotel. Later will go to a local market for a shopping experience in a colorful market where you can see 'Kundan', (enameled) jewelry, exotic blue pottery, batik painting, block printed textiles of Sanganer and Bagru, tie & dye fabrics, Mojari- (the local embroidered shoes), sandal wood carved items, beautiful stone carvings, brass work, lac ornaments and handicrafts, handmade paper etc. Overnight in Jaipur. OPTIONAL: Early morning hot-air balooning experience: Take off in a hot-air baloon to see Jaipur from the air. Later our car will pick you up and return you to your hotel for breakfast. After breakfadt, drive to Pushkar (145km 3 hours) and check in at hotel. Pushkar is a mellow, serene and bewitching little town which attracts those in search of some respite from the tumult of India. Pushkar is right on the edge of the desert and is only 11 kms from Ajmer but separated from it by Nag Pahar, the snake mountain. 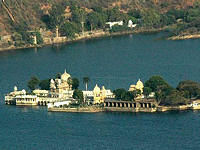 The town clings to the side of the small Pushkar Lake with its many bathing ghats and temples. 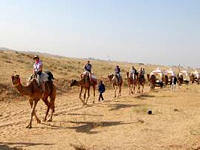 In the evening we take a Camel Safari - a great experience where one can explore the rugged terrain of the Great Indian Desert. The Aravalli Range here are one of the world's oldest, and has sandfields, small dunes, beautiful hills and mesmerizing sunsets. Overnight in Pushkar. After breakfast drive to Udaipur(280 Kms/05 Hours), on arrival check in at hotel. The "Venice of the East", Udaipur is an enchanting city. From lakes in the midst of sandy terrain to green forested hills where wildlife still abounds, the surprises are endless. And, in the lakes, or by their edges, are palaces straight out of fairy tales. Founded by Maharana Udai Singh, Udaipur is surrounded by the Aravalli mountain ranges. In the late afternoon we visit Jag Mandir - a palace built on an island in Lake Pichola.It is also called the "Lake Garden Palace". In the evening, we vsit Bagor Ki Haveli an ancient building that stands on the platform of Gangori Ghat in the vicinity of Pichola Lake. The haveli now stages delightful evening's entertainment; performances of Rajasthani traditional dance and music in the moody surroundings. Overnight in Udaipur. Morning sightseeing tour of Udaipur includes the City Palace Complex consisting of Durbar Hall, Crystal Gallery, Palace Museum and Jagdish Temple. Udaipur City Palace is considered as the largest palace complex in Rajasthan. Afternoon visit to Eklingji and Nagda temples. Afterwards there is time for shopping in the streets of Udaipur, where many different arts and crafts are practised. After breakfast drive to Jodhpur (280 Kms/7 Hours) stopping enroute to visit Ranakpur. The cluster of temples, made of intricately sculpted white marble, is a marvelous feat of architecture. It is a surprise that they were built in 1460, so well preserved & sparkling is the marble. The main temple is supported on 1,444 pillars - none of which is identical to any other. 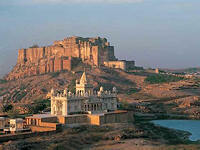 After lunch, drive on to Jodhpur, founded by Rao Jodha, a chief of the Rathore clan, in 1459. 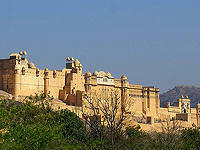 It is the second largest city in Rajasthan, and is divided into old city and new parts. The old city is separated by a ten kilometre long wall surrounding it, with eight gates. The new city is outside the walled city. Jodhpur has many beautiful palaces and forts such as Mehrangarh Fort, Jaswant Thada, Umaid Bhavan Palace and Rai Ka Bag Palace. Overnight at Jodhpur. Today we will visit Mehrangarh Fort, Jaswant Thada & Umaid Bhawan Palace, then take an early Lunch with an Indian Family in Jodhpur.Here you will have the opportunity to see what the typical Rajashtani home looks like and imagine its liveliness as children ran from room to room, with echos heard in the courtyard, while enjoying some of the traditional dishes every Jodhpur house has grown up on. 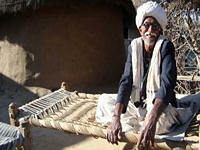 Later we take an excursion to a Bishnoi village to visit the Rabari/Bishnoi Community. Morning is free at leisure. Later transfer to airport & board flight to Delhi. Meet upon arrival & transfer to hotel for day use of room until it is time to transfer to airport & board flight to Uk or onward destination (B).